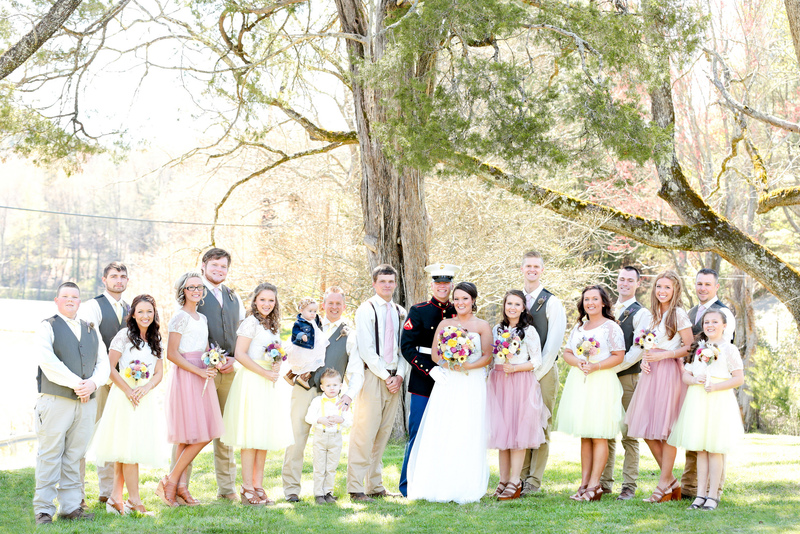 Whitney and Aaron tied the knot at a barn in their hometown for a vintage country themed wedding. 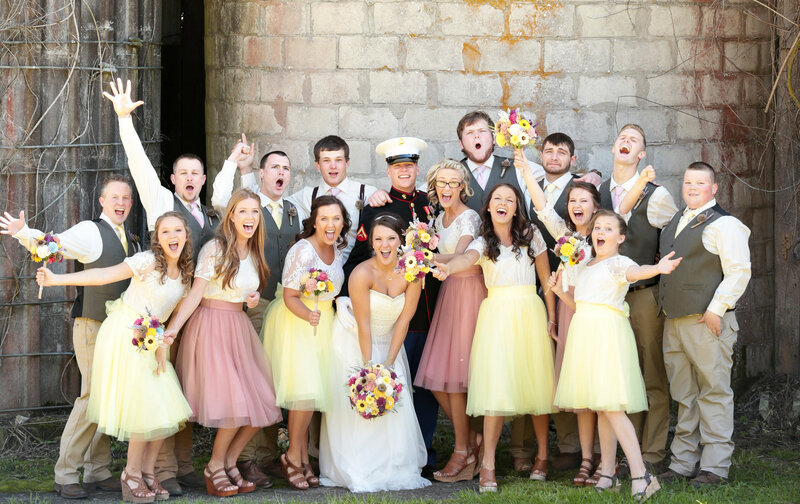 For picking colors, Whitney wanted yellow since her husband is in the Marines and yellow would pair well with his dress blues. 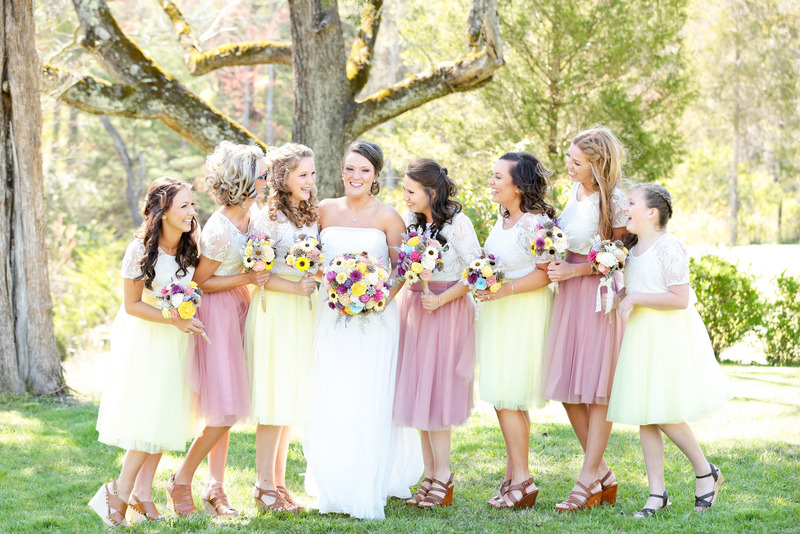 After finding Azazie, Whitney chose the tulle skirts for her bridesmaids instead of traditional bridesmaids dresses and fell in love with the Daffodil and Dusty Rose colors! All photos were taken by True Foundation Photography. Q: Tell us your favorite wedding memory. 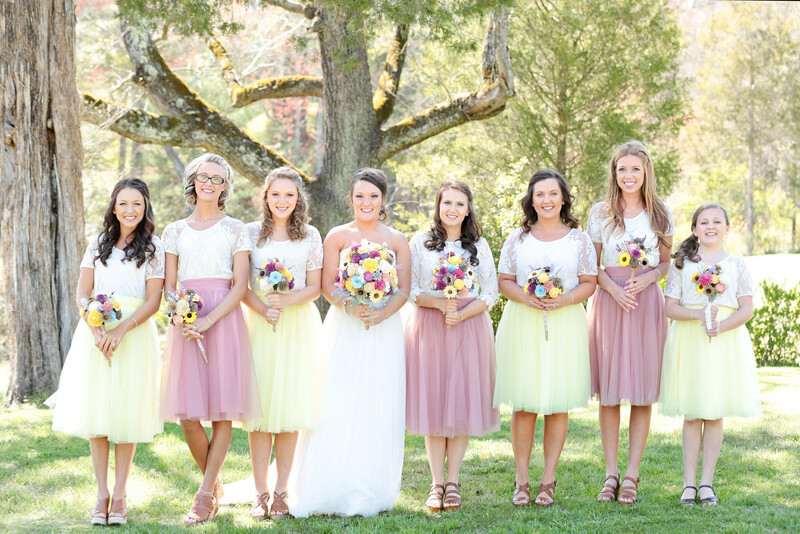 Q: Why did you choose skirts instead of traditional bridesmaids dresses? Q: What’s your wedding in one word?